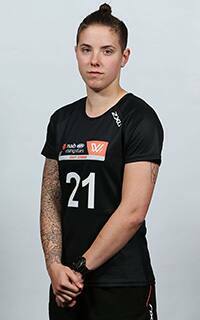 Western Australia defender Rachel Ashley has been signed by the Western Bulldogs as a free agent. The Western Bulldogs have today secured West Australian defender Rachel Ashely as a free agent. The Dogs passed on their final selection in Wednesday’s NAB AFLW draft for the chance to secure the 174cm defender 19-year old. A proactive intercepting defender with strong hands, the former Perth Angel is fierce tackler despite a light frame. Western Bulldogs coach Paul Groves said he was looking forward to Ashley joining her new teammates at Victoria University Whitten Oval. The Bulldogs picked Isabel Huntington (pick one), Monique Conti (pick 4), Jenna Bruton (pick 11), Daria Bannister (pick 19) and Emma Mackie (pick 27) with their first five selections. For a full wrap of the 2017 NAB AFLW Draft click here.